Hope you’re ready Muggles! Once a year Universal gives you an enchanting extra glimpse into everyone’s favorite wizarding world and it’s coming up next weekend! 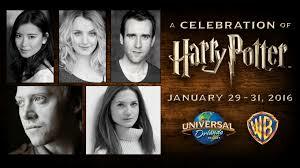 The 2016 A Celebration of Harry Potter at Universal Orlando is back! 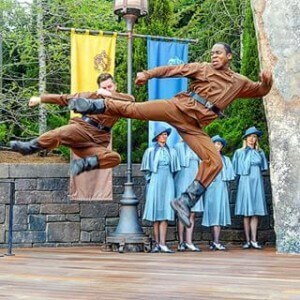 This amazing event takes over The Wizarding World of Harry Potter™ – Hogsmeade™ at Universal’s Islands of Adventure®and Diagon Alley™ at Universal Studios in a whole different experience for the guests to enjoy. You may even run into a familiar witch or wizard in your travels through the immersive world’s of JK Rowling’s imagination brought to life! The event takes place January 29-31, 2016 only at Universal Orlando and offers experiences that only come around once a year! Come and experience the wizarding world like never before at the A Celebration of Harry Potter event at Universal Orlando! For information on tickets or event times, contact a VillaDirect Guest Service associate at 866-934-9177 or guest@villadirect.com.